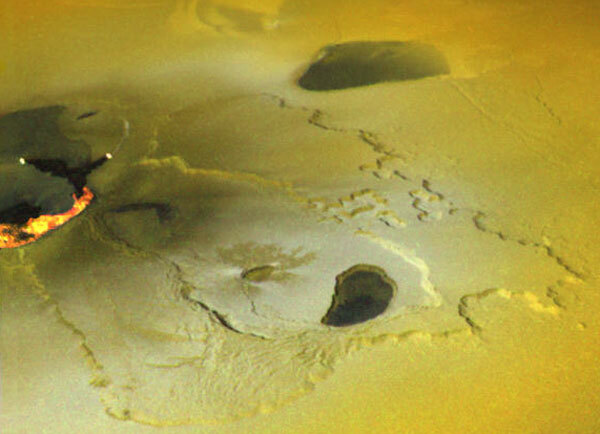 Explanation: A volcano on Jupiter's moon Io has been photographed recently during an ongoing eruption. Hot glowing lava is visible on the left on this representative-color image. A glowing landscape of plateaus and valleys covered in sulfur and silicate rock surrounds the active volcano. Many features including several of the dark spots have evolved between February 2000, when the robot spacecraft Galileo currently orbiting Jupiter took this picture, and November 1999. Io is slightly larger than Earth's Moon and is the closest large moon to Jupiter. The above image shows a region about 250 kilometers across. 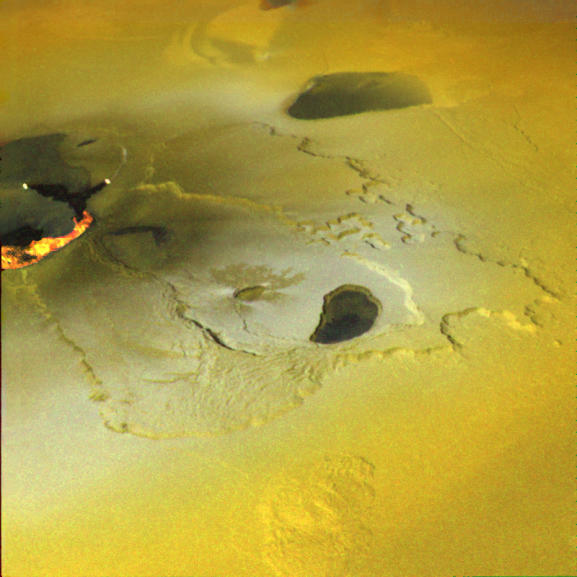 How the internal structure of Io creates these active volcanoes remains under investigation.